Looking through the protocols can sometimes take first responders away from hands-on patient care like taking someone’s blood pressure. When you’re wearing medical gloves, you don’t want to be combing through a document on a computer. Alexa will be used as a backup source of information for ambulance personnel. The service is expected to go into testing as early as June. Amazon is already well on its way to conquering the home with about 30 million Echo smart speakers sold since 2015. The next big target appears to be the car. Last year Amazon announced Alexa integration with Ford and BMW automobiles. At CES Toyota announced it would bring Alexa into its cars. Also at CES, an Amazon executive indicated in an interview with Voicebot that the company was working on offline mode for Alexa that would enable the voice assistant to function even when there is unreliable internet connectivity or none at all. That is a key feature enhancement that Amazon will need to deliver to make Alexa suitable for in-car integration. Just last week, news broke that Amazon is testing Echo Dots in cars in India. 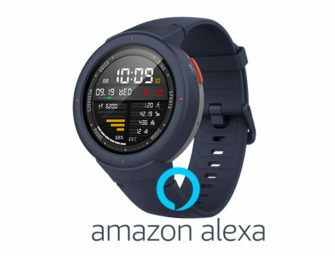 That would essentially replicate many of the in-car Alexa features that the Garmin Speak and ROAV Viva already provide, but it would be a program promoted and merchandized by Amazon which would in all likelihood accelerate consumer adoption. You might have to wait to buy a new car to have Alexa on-the-go or you could just install an Echo Dot. It is not clear if the Brewster Ambulance Service test is related to Amazon’s assessment of Echo Dot for cars, but is another example of how voice interactivity has many potential use cases in automobiles. If your strategy is Alexa everywhere, then Ambulances are just another end point that helps meet the objective.